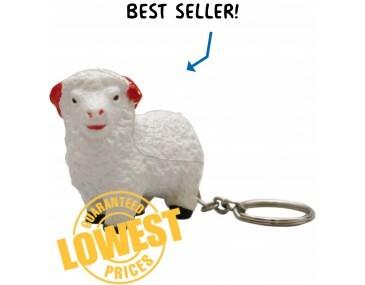 If you have to keep counting hundreds of sheep to fall asleep because you are so stressed out, you need this little key ring. He will help you relax because he is actually a stress toy. Hold him and bash and smash him until you are calm and relaxed, he won't mind in the least. Our adorable little sheep features a three-dimensional shape. His plump body is a light colour with a fluffy woolly finish. He stands on four feet that contrast in a dark colour and he has bold ears and a cute matching coloured nose and mouth. Little beady eyes peer out at the world, giving him a picture-perfect look. Sheep are the iconic animals of Australia and this adorable little animal will give you a feel-good vibe every time you look at him. He will remind you of warm woolly jerseys and beautiful green fields with sheep grazing peacefully. The sheep attaches to a chain and an all metal split key ring, making this a trendy and different key ring idea. Allow us to brand the sheep with your company image and cause a stir when you give them away as freebies at outdoor events, trade shows and expos. They are ideal for companies looking for a feel-good freebie that will charm your clients. Our listed price includes branding of your logo or graphic in a single colour print. We offer a product turnaround time of two weeks, but we can offer even faster turnaround times for urgent orders. 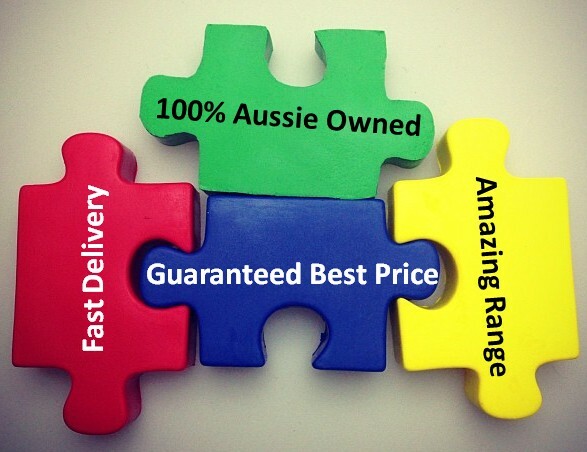 This product is stocked and branded in Australia. This product is supplied in bulk quantities, ideal for large promotions.